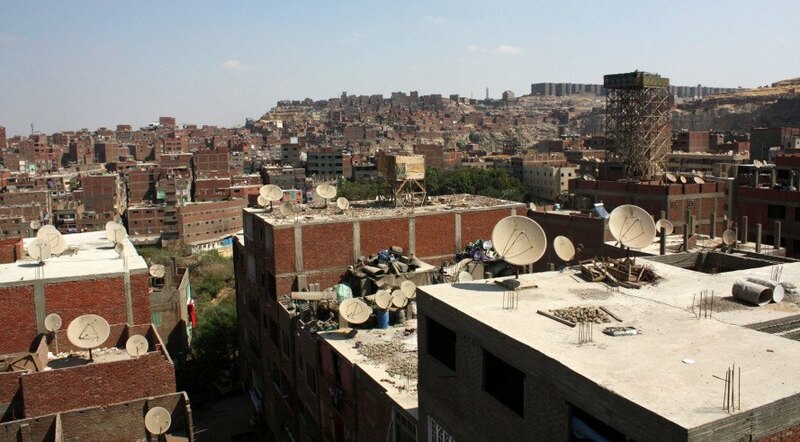 eL Seed's Perception covers 50 buildings in Cairo's "Garbage City"
One of the poorest neighborhoods in the world is now a monumental work of street art thanks to the renowned calligraffiti artist eL Seed. The stench is stifling at the base of Moqattam Hills, a neighborhood known to the world as "Garbage City". At every turn, heaps of paper, cans and plastic bottles lean against walls and balance on roofs. But the mess is not as disorganized as it looks thanks to the local Copts, a Christian minority group who are the self-appointed informal waste managers for all of Cairo - a formidable role in a chaotic metropolis that goes largely unappreciated. eL Seed aims to change that. In fact, he probably already has. Taller and more odorous since 2009, when former president Hosni Mubarak ordered the extermination of the city’s waste-eating pigs to control swine flu, the Zaraeeb community’s waste is a source of income. Various groups and individuals repurpose paper and other materials into usable objects, providing a vital service the government has failed to manage itself. 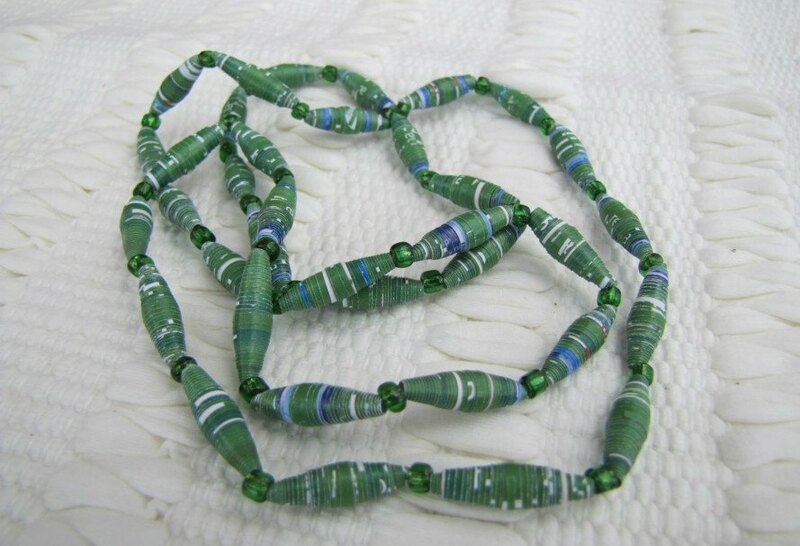 NGOs and other do-gooders have helped set up small businesses, creating a forum through which to sell jewelry and accessories made with discarded textiles and other recycled materials, and they have been the subject of several documentaries and stories. Still, the community has struggled to shake off the stigma of being somehow inferior or dirty as a result of their work. Like Lebanon, where a river of trash has accumulated in the country’s capital, corruption in Egypt has thwarted any real progress to properly dispose of trash generated by millions of Egyptians – much less recycle. Companies like Veolia made some progress in Alexandria, for example, but mostly trash accumulates as a toxic stew in the Nile River and other waterways, on the path to the ancient Giza Pyramids, on sidewalks, and every corner of the country’s farthest reaches. It’s everywhere, and only the Zaraeeb have developed a system for sorting it. eL Seed's latest calligraffiti covers 50 buildings in Cairo's "Garbage City"
"Garbage City" in Cairo, where Copts recycle the city's waste. 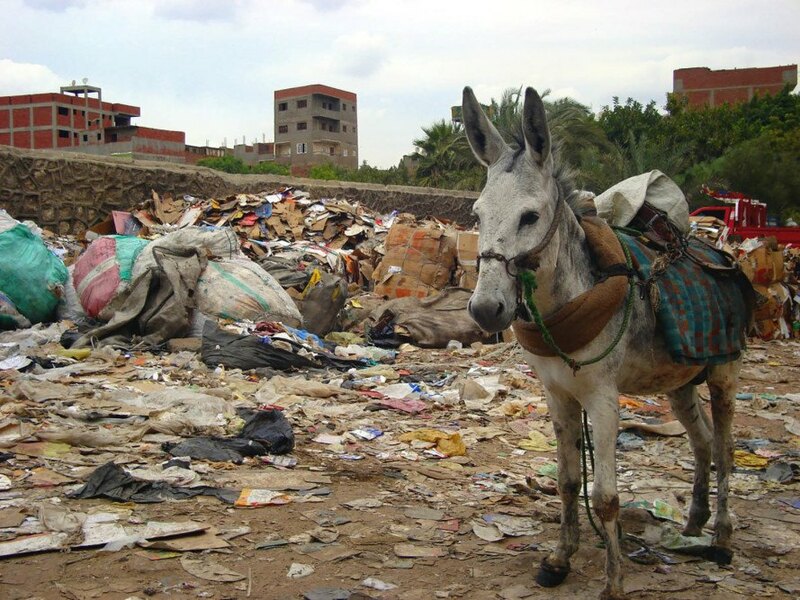 Donkey in "Garbage City" - where Cairo's waste is managed by informal sorters known as Zabaleen. 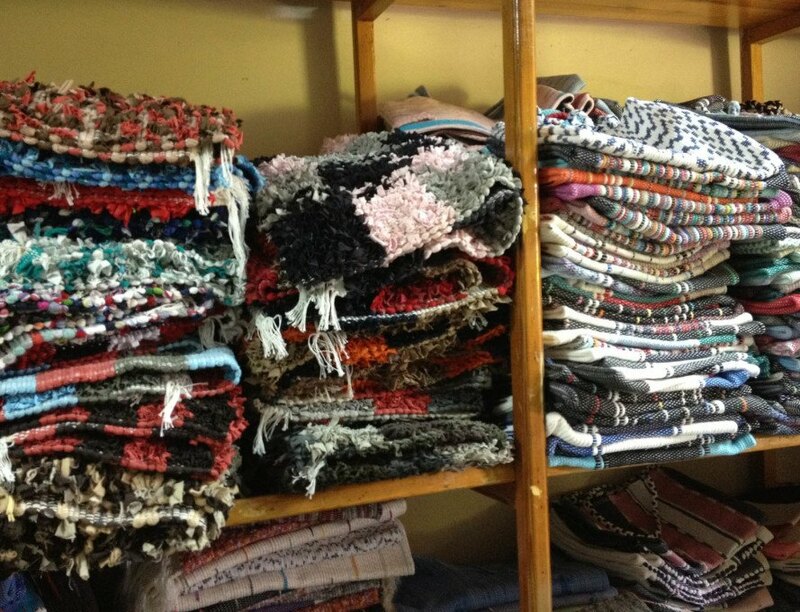 Rugs made from recycled textiles in "Garbage City"
Rugs made from recycled materials in the Zaraeeb community. 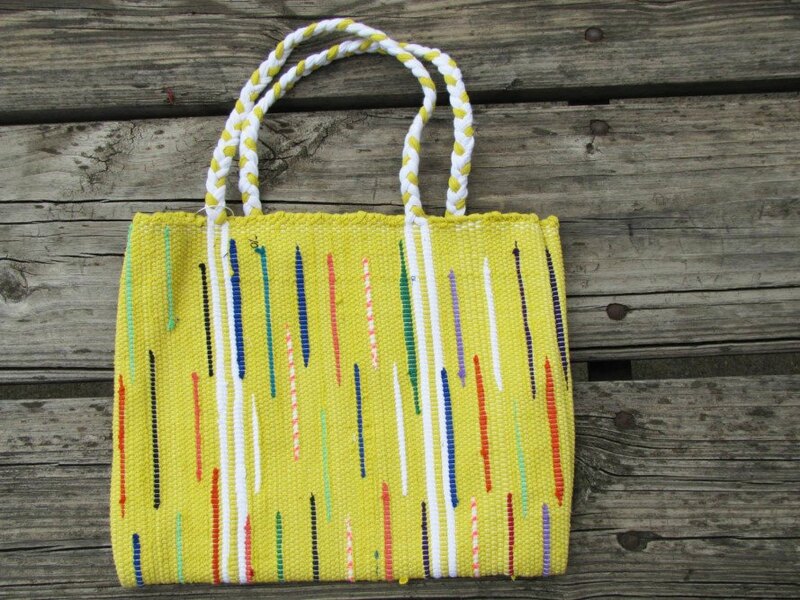 Bag made from recycled materials in "Garbage City"
Bag made from recycled materials in the Zaraeeb community. Necklace made from recycled materials in "Garbage City"
Necklace made from recycled materials in the Zaraeeb community.